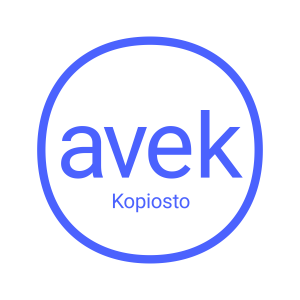 The AVEK logo was redesigned in 2018. In small type it also mentions Kopiosto, which we operate in connection of. Please use primarily this logo! If the logo displayed is very small you can use a logo with no Kopiosto text. You can download the AVEK logo from the bottom of the page.